We help consumer products companies reduce the packaging cost and societal impact of their product packaging while improving packaging appearance and maintaining product integrity. One of our recent clients switched from shrink wrap to overwrap and reduced both their electricity and material costs. Their payback was under one year. Our customers are able to more accurately predict total cost of ownership because of the significant reduction in after-market parts costs through the use of servo controls. They also enjoy higher speed and increased flexibility to change product sizes. 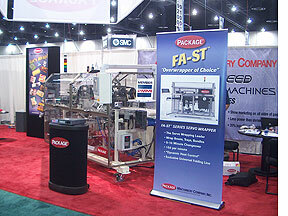 What does Package Machinery do, in a nutshell? We provide wrapping equipment for consumer product companies that are looking for reliable, easy-to-use, easy-to set-up and easy-to-maintain wrapping solutions. Sometimes this can be bundling equipment that comes after the primary packaging. Why do people call Package Machinery? Typically, we spend time on the phone and in the field speaking with plant engineers, facility managers and packaging engineers across industries and market segments who tell us that downtime, wrap consistency, change over and maintenance of their existing wrapping equipment are the sources of much frustration to them and their staff. They usually cite issues such as higher labor costs to work with older equipment, downtime, aggravation, and dollars waiting to replace that one part buried deep within the machine which is needed to keep their machines in time. Technical staff with whom we speak face continuous demands from their marketing counterparts to produce exciting, new, packaging designs which meet the ever changing criteria of the mega-retailers. Capital budgets and payback requirements being as tight, they are forced to try and make their existing mechanical wrapping machines do things that they weren’t necessarily designed to do, usually on the weekends when the lines are down from production. Package Machinery works hard to be the pain reliever to all these headaches. 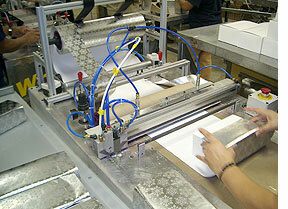 We are passionate about making really good wrapping machines. We enjoy inventing improvements and new ways to get a great wrap on products. We like getting better each time. And we like learning from our customers. 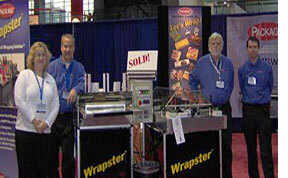 We are a collection of people in western Massachusetts who come together to make wrapping machines that do a better job each time we make them. We are a friendly, curious and inventive group. We embody Yankee ingenuity in the 21st century. You will be working with an entrepreneurial group who wants to help you with your wrapping concerns, large or small. We stand behind our products after they are in your facility. You will get the chance to talk directly to the engineers who design your machine, and the guys who build and install it. We believe in treating you with the respect we give our co-workers, as a partner in solving your wrapping problem. We believe in curiosity, self-improvement, honesty, open communication and collaboration. 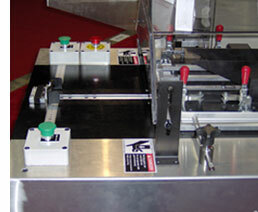 Our machines are designed to give your specific products the best wrapped appearance on the shelf or display. We want to do this in a manner that suits your particular needs for cost, appearance and timeliness. We want you to have a great wrapping experience: one that you understand and can own. What do you do with the wrapped products on which you do testing? Unless the customer wants product sent back, or the product is no longer sanitary, we donate the products we use in the machine testing and run off to the Food Bank of Western Massachusetts where they are used to help people in need. The mission of The Food Bank of Western Massachusetts is “to work with our community to reduce hunger and increase food security.” To learn more about The Food Bank, visit www.foodbankwma.org.